​Our business books offer a way for you to "Do It Yourself" with some extra help from us! 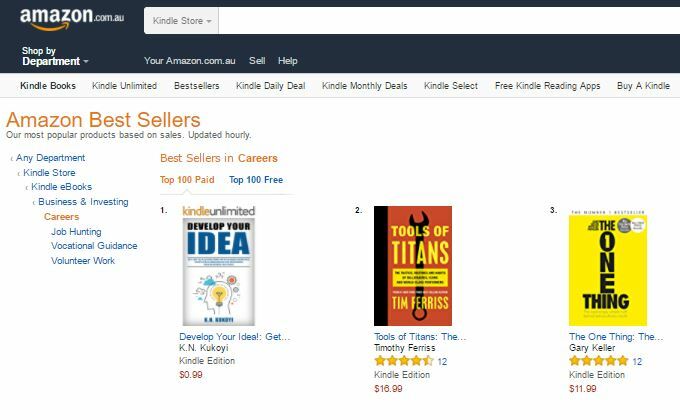 Our books have appeared on Amazon bestseller lists in the UK, US, France, Germany, Japan, Australia, Brazil and Canada next to Tony Robbins Awaken the Giant Within, Eric Ries' The Lean Startup, Peter Thiel's Zero to One, Gary Keller's The One Thing and Tim Ferriss's books The 4 Hour Workweek and Tools of Titans. 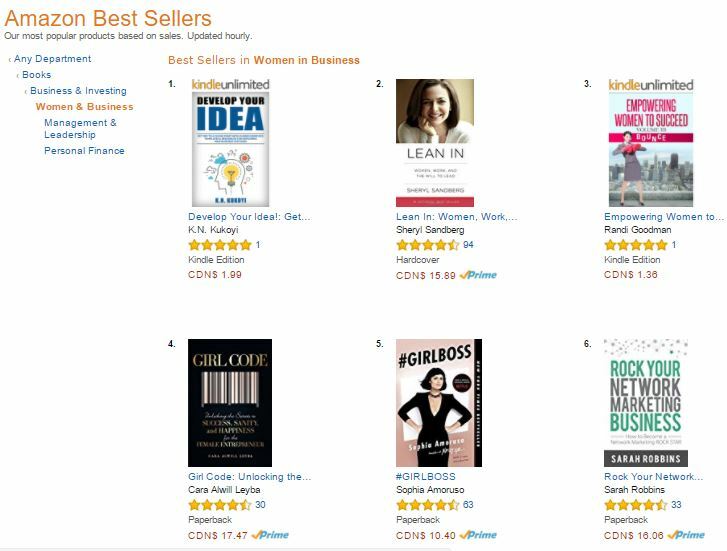 ​They have also ranked beside books including Sheryl Sandberg's Lean In, Robert Kiyosaki's Rich Dad Poor Dad and Sophia Amoruso's #Girlboss. "EXCELLENT book! I’m getting ready to do my first SaaS, and your book was the mentor I’ve been looking for. You’ve saved me hundreds of hours (and probably tens of thousands of dollars) in trial and error." So I'm one of those people that "have an idea." I had no clue where to start... and reached out to a friend that knew a developer. For whatever reason, that developer never got back to me and that provided me a chance to start researching the app creation process. Of what I've read, this was one of the BEST books on the subject. Had that developer gotten back to me when I called him, I would have spent a small fortune and totally jumped the gun on the process... I highly recommend this book, I've got pages marked all over my copy to reference and go back and read again. Even if you've already started your process, this book can give you insight to what you may have overlooked (...it showed me a lot that I hadn't thought about). Got a business idea in mind? Let’s test it out! Plan for success with the Develop Your Idea! 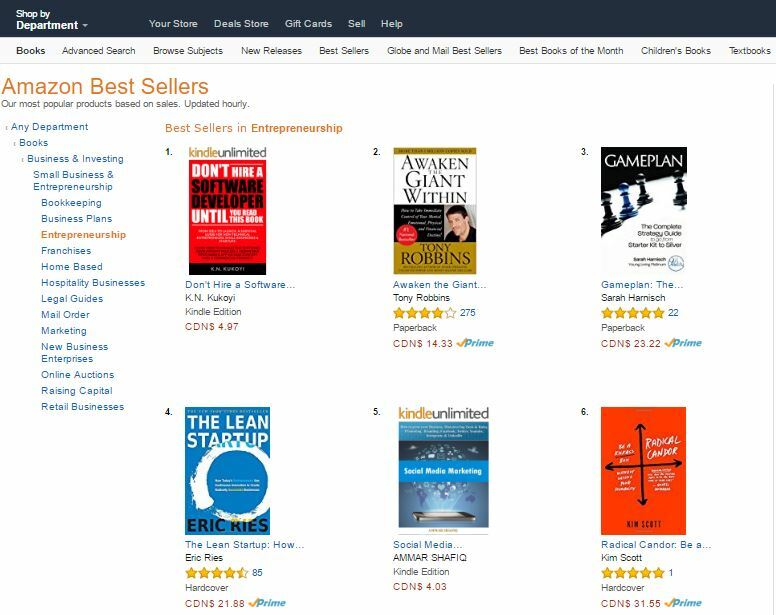 book, an Amazon bestseller purchased by entrepreneurs all over the world, which includes guided exercises, templates and free resources. Get your copy here. For those interested in software entrepreneurship, there is the handbook for tech startups: Don’t hire a software developer until you read this book, written for people that want to start, or grow their tech business the smart way. This guide for startups, small businesses and entrepreneurs will take you from idea, to build, to product launch and everything in between, answering the question: "How do I create and develop a software app - even if I have no experience?" ​Learn what you need to know, and do to get your software product built and successfully delivered into the hands of your customers. Get your copy here. 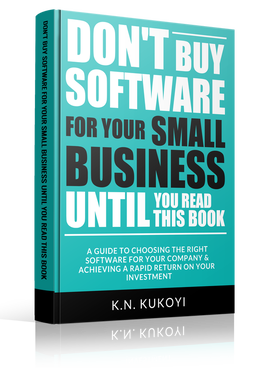 ​Our third book, Don't Buy Software for Your Small Business Until You Read this Book explains how to successfully manage the software purchasing process and select a software application that will deliver a good return on investment. You can get a copy here. The inspiration for the book came from a study called: In their own Words: SME Challenges & Trends Survey, 2017, sponsored by our business, which involved speaking to SMEs around the UK about the challenges that they face. You can find a copy of the report here: http://www.purposefulgroup.com/blog/what-common-challenges-are-small-businesses-facing. 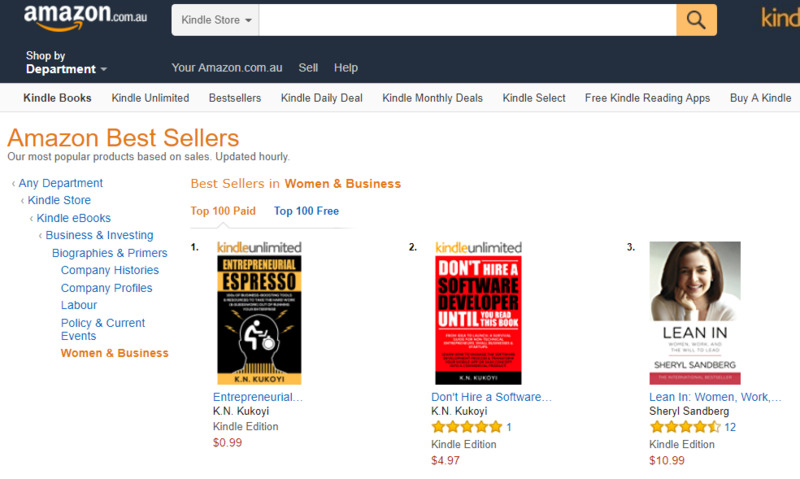 Book number four, Entrepreneurial Espresso is a compendium of over 450 business-boosting software products, apps and tools for savvy entrepreneurs. Inside you’ll find tools for iPhone and Android, PC, Mac, Windows, iPhone, Android and browser extension tools including Chrome and Firefox. Improve your productivity, and work smart by automating your business. Reduce the time it takes to complete business “chores” with these free and low cost resources for small businesses. Our old book cover, with the new version to the right. ​Techpreneur Interviews: What's it like to run a tech startup? Want to know what it's really like to run a tech startup? Now you can find out! Techpreneur Interviews is a compendium of discussions with technology entrepreneurs from the USA, Canada, and Europe who have had success with their tech businesses. Discover their top tips, recommendations, and strategies; including their approaches to software development, marketing and promotion, bootstrapping and money management, productivity, hiring, and more! Our 5th book is free, and can be downloaded via the link on our FREE RESOURCES page. what do amazon customers say about our books? ​​"The material inside was detailed, examining aspects of customer classification and market research as well as legal considerations and protections that I hadn't heard in other related texts... It is worth going through the book multiple times as information will pop out at you on subsequent reads. I am applying the material to a current personal project." 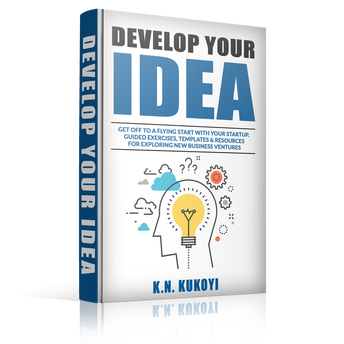 Amazon review for Develop Your Idea! "​This book ended so much frustration and confusion." "The only problem with this book is that it didn’t come sooner... [It] would have prevented me from several mistakes that cost $$$. ​I recommend that you read [it] from cover to cover—an ounce of prevention is worth a pound of cure!" "As a non-technical person (HR Manager). I found this to be an incredibly practical step by step guide for anyone involved in the decision making surrounding software selection and implementation. Well written, user friendly and easy to follow. Brilliant guides, toolkits, diagrams and checklists." "As an aspiring author and blogger, I found a ton of resources and advice helpful to me personally, though most of it will help anyone with a small business or any other kind of enterprise. The most helpful section for me, was the one on actually creating content and then how to market that." 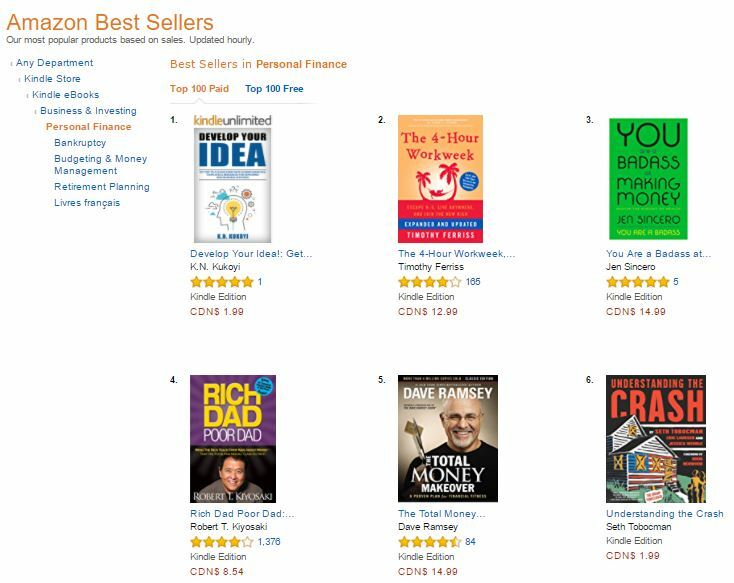 A few of our bestseller placements next to authors you may know! 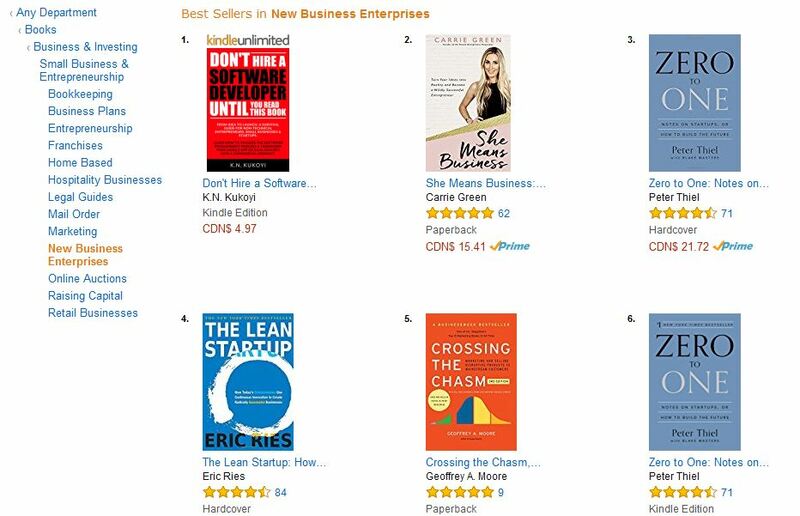 These examples include Amazon rankings in Canada, Australia, and the UK.